So remember I said over the long weekend I planned to get creative? Well I found my down time and did it! As mentioned in my previous post my goal was to make a wall hanging, and yup I got something to show! Not as FAB as the one's I researched on Pinterest. There is room for improvement and I could bedazzle and add on to it a bit more, but for beginners luck I think mine came out quite nice. Watcha think? I was inspired by this. As that blogger said, if you know how to tie a knot, braid, use a pair of scissors then it's super duper EASY. It does take time to cut all the strands of yarn, but thats the worst of it. However I like the irregularity of lengths, and just ball parked each strand of yarn in double length of my arm span. 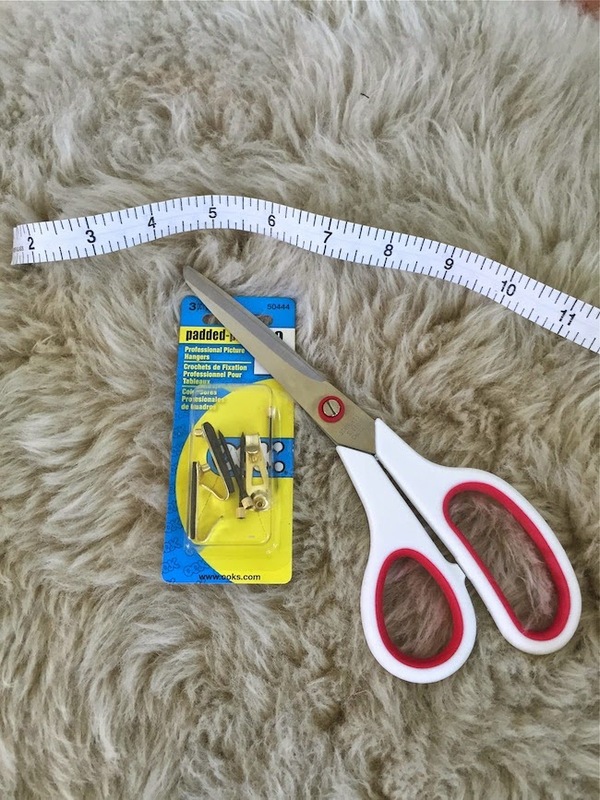 No need to measure precisely unless you want it to be a straight length all across. But I wouldn't kill yourself over the length of each yarn. 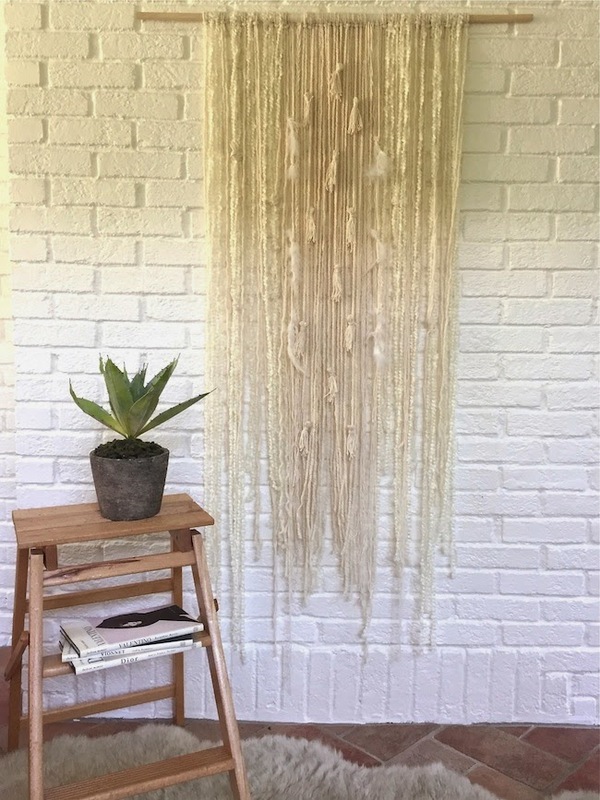 Even if you want to make it all the same length you could always give the wall hanging a hair trim at the end. If you want to give this a go, for starts you need yarn. I used 6 skeins. Two skeins of each different type of yarn. 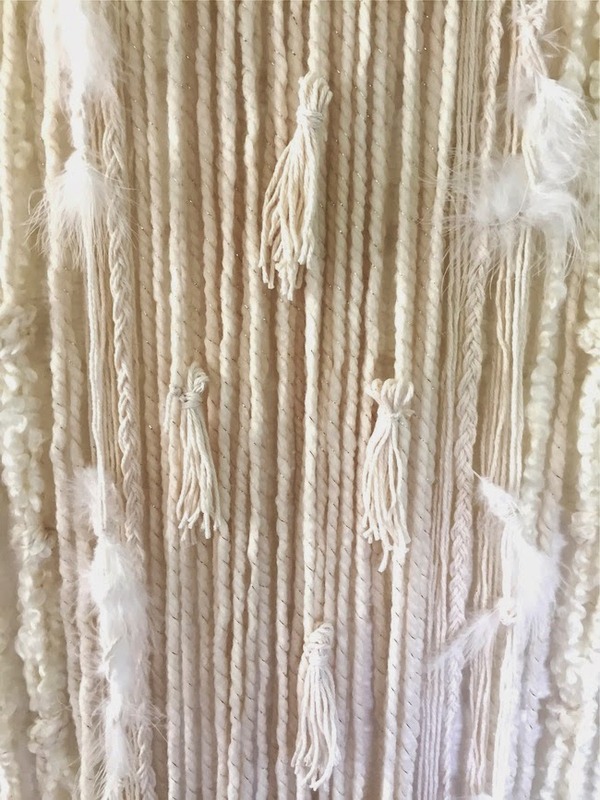 I chose to go monotone in color, but used three different textures of yarn and feathers to add some dimension. One of my yarns have metallic gold thread running through it which adds a nice luster. You will also need a dowel rod (not pictured). I used a 5/8" x 36" length dowel. Or you could find a really cool branch? The other basics you need is scissors, hanging nails (I used 3 to hang the rod), and a tape measure that I used only to make the pom pom tassels. 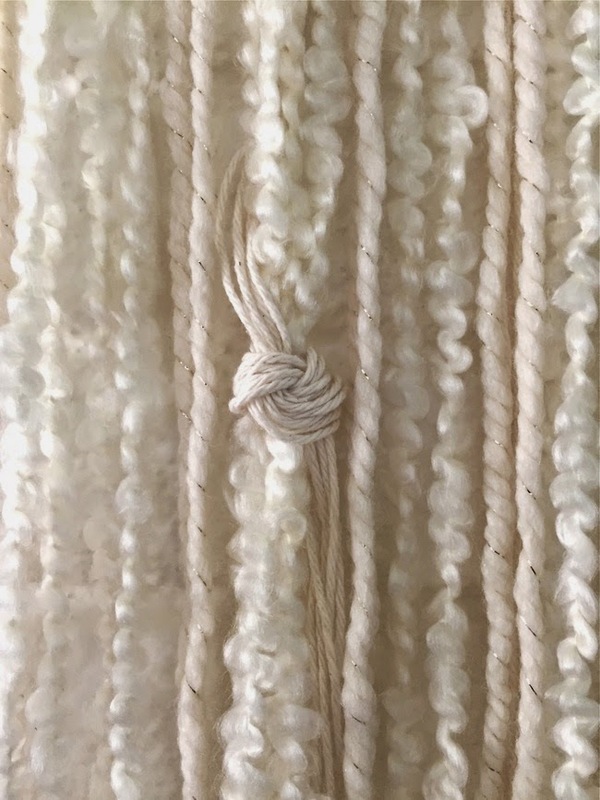 To make the tassels cut ten 6" length pieces of yarn, fold the strands in half and tie around with another piece of yarn to hold in place with a double knot at the back. In total it took me about 8 hours on and off to do this. I got everything at the art supply store AI Friedman. Everything costed under $50. Granted mine is not very ornate, but if you were to buy something like this off Etsy, it could cost anywhere from a hundred dollars if not a couple of hundred. It was a fun project, that allowed me to zone out. 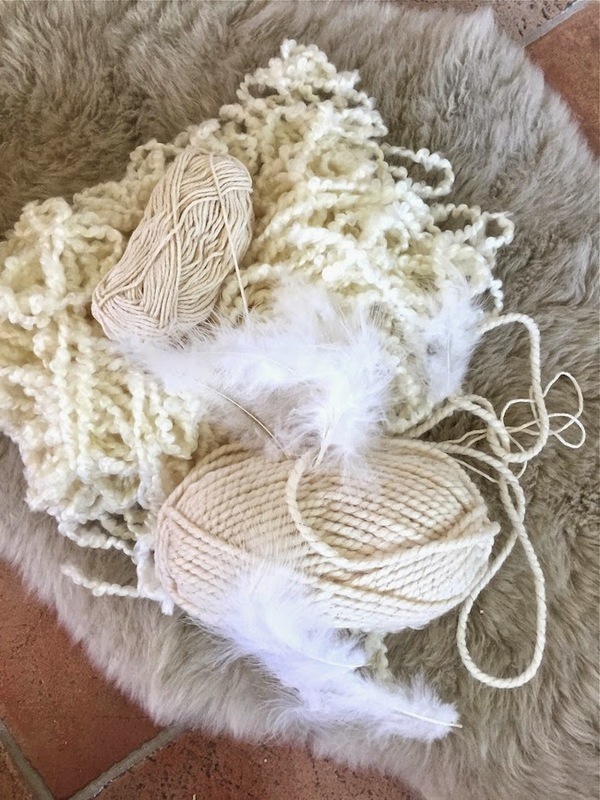 I hope to add on to what I started or even try a new one and experiment with rope, suede strips, beads, macrame…the list is endless! I'm bursting with ideas. Now when is my next long weekend? HA! Time is my problem. Isn't it all of ours? That's LIFE.